Dont miss out on this Funky Beach Farmhouse! Stunning new construction 4 bedrooms, 4.5 bathrooms pool home with views of the bay. 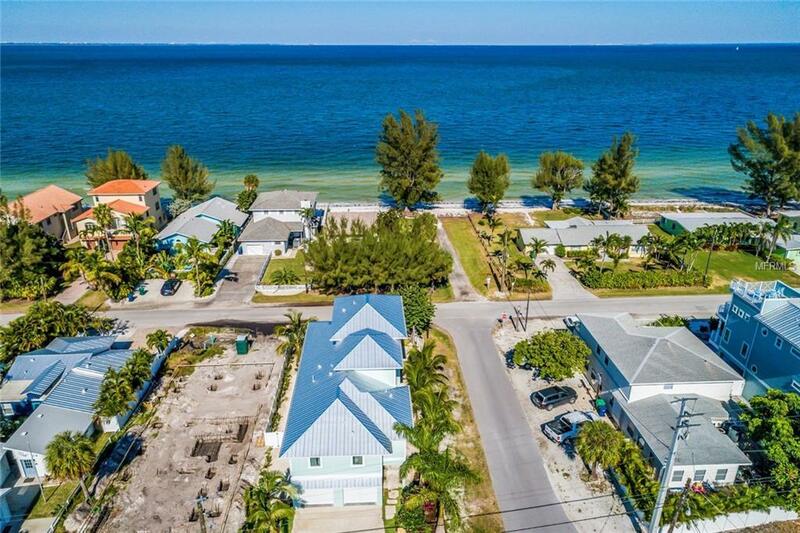 This home is on the popular north end of Anna Maria Island and is conveniently located one block away from the bay to enjoy all water activities. This 2,364 Sq Ft professionally decorated farmhouse is so fun and colorful, you will never get bored. The open concept floor plan on the second floor features a kitchen island with quartz counter top, solid wood cabinets and stainless steel appliances. It opens up to the living and dining room with stylish light fixtures. Perfect for entertaining or dine out on the back balconies with bay views. Three bedrooms on the second floor the main master bedroom is on the third floor and an elevator to access all three levels. Each room has its own color scheme with beautiful chandeliers as well as their own bathroom. Enjoy this relaxing setting in the backyard with tropical landscaping and fenced in for your privacy. Stay cool in the covered area with the heated pool and spa or take a short stroll to the bay to swim. Very close to the Rod N Reel pier as well as Pine Avenue with many shops and restaurants. This home has a two car garage, and comes furnished and ready for you to enjoy!